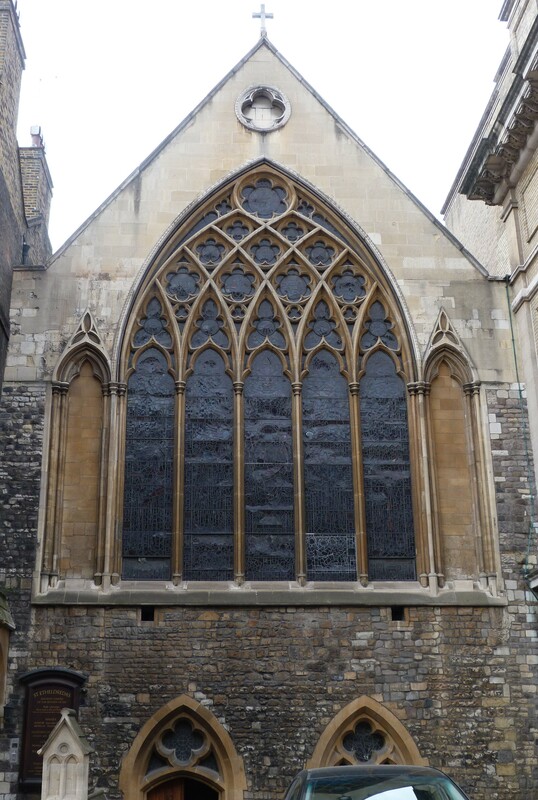 The church of St Etheldreda in Ely Place, off Holborn Circus, was originally built as a private chapel in Ely Palace – owned by the Bishops of Ely – in around 1293, and pressed into service as an Anglican church after the Reformation. 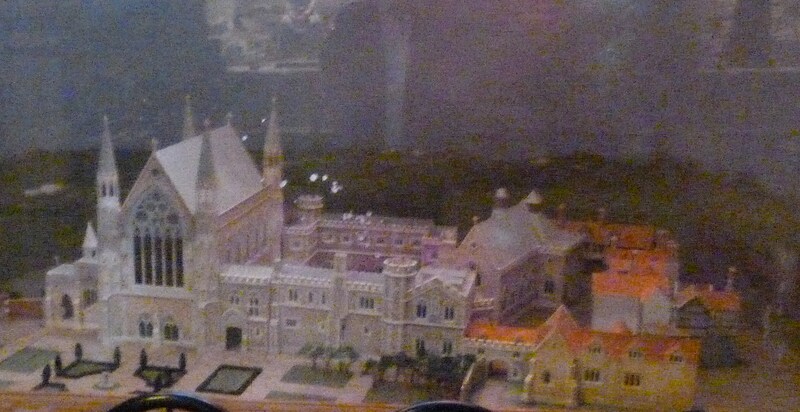 It was undamaged in the Great Fire of 1666, although it has been somewhat modified subsequently. It was “restored to the old [ie Catholic] faith” in 1874. The interior contains a number of memorials to Catholic martyrs, including John Houghton, Prior of Charterhouse, who was hanged, drawn and quartered at Tyburn in 1535 for challenging King Henry VIII’s supremacy over the Church. The exterior is a rare, restrained and fine surviving example of the Decorated Gothic style of ecclesiastical architecture. The church is easily overlooked on account of its tucked-away location (and small size). Etheldreda was the Abbess of Ely in the seventh century. There is a chapel dedicated to her in Ely Cathedral. This entry was posted in 13th Century London, London churches of note outside the City of London, Rebellious London, Site is on a Lost City of London Tour, Tudor on March 7, 2015 by Bob Jones - The Lost City of London. The pub was founded in 1546. In the extension is a cherry tree purporting to be the one that Elizabeth I and Christopher danced round.